It seems like the fight for some of our most basic civil rights was so long ago, but the reality of it all? It truly was not. One of our most basic human rights to love and to do so freely (as far as race is concerned) has only been recognized for 50 years. Today — June 12 — is called Loving Day, and we remember it for a very special reason. On this day in 1967, the Supreme Court ruled that it was no longer unlawful for people of different races to marry each other. 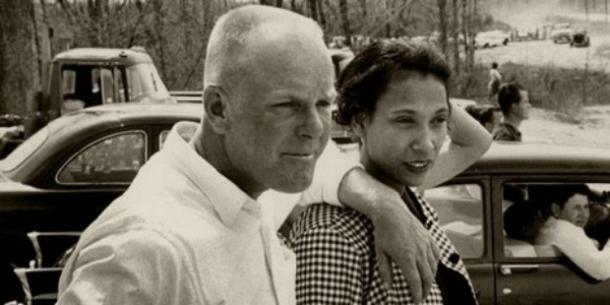 They ruled in favor of Loving v. Virginia, in a move that helped set the precedent for interracial couples all across America — a ruling that was long overdue and still somehow ahead of its time. And we all have interracial couple Mildred Jeter and her husband Richard Loving to thank for beginning the proceedings that eventually changed American history for the better. June 12, 1967, was a day when people everywhere were granted permission to "officially" and legally love their partners, regardless of skin color, without interference or consequence from government officials. This is shocking when you consider It was only about 40 years prior that the Racial Integrity Act of 1924 was established to "protect the integrity" of different races and prohibited all interracial marriage. At the time, the Racial Integrity Act was the leading standard and required that all babies born be labeled only as "white" or "colored," and this included Native Americans and anyone with a single drop of blood that wasn't of "white" descent. This ruling also forbid white people and anyone who fell into the "other" category to keep a far distance from each other romantically because it was actually illegal for anyone white and non-white to marry each other. In fact, they would be publicy humiliated and arrested if such a union were to be discovered. Mildred Jeter and Richard Loving were arrested for traveling together when they moved back to Virginia after living for five years in Washington D.C. Their arrests led them to contact Robert F. Kennedy, the attorney general at the time, who ultimately sent them to the ACLU where history would be made in their names. So despite the laws that were currently in place, and many people who disagreed with the ruling, Loving v. Virginia went on to abolish rules of racial discrimination in love and marriage, and it was a big step in the right direction! Although gay marriage wouldn't be legalized for nearly a half a century more, Mildred Jeter and Richard Loving set the groundwork for them to make the very point that they had set out to make: Love is love. And, today, I write this, grateful that the step was taken sooner, rather than later. One reason why I'm grateful? I'm the indirect product of interracial marriage. Despite what either of their families may have thought during those tumultuous times (especially my grandmother's side, which was actually quite racist), my white, Mississippi-bred grandmother and black Tennesseean grandfather began dating about two years prior to the Supreme court ruling in the Loving case and were wed just five years later on September 23, 1972. 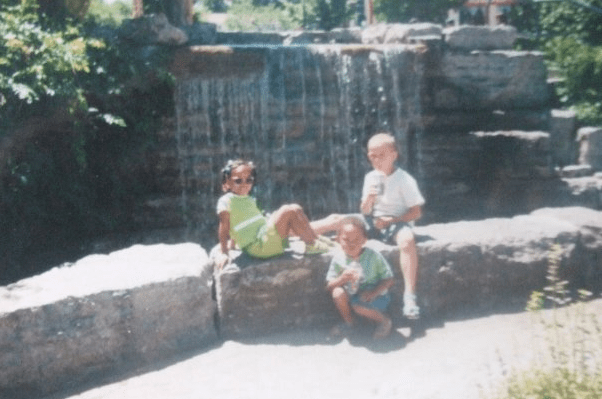 Although my grandfather died before I ever met him, my grandparent's marriage set the tone for our blended family, and therefore it has given us more comfort, support, and room to love whoever it is that we please, regardless of their race. But, would we be here without the Lovings? Would we have been this progressive as a family? Despite only ever dating black men, there's a certain liberation that's granted in knowing that my love is limitless and that if the right man of any other race came along, I would have that choice. Knowing that YOU have the right to decide who you're going to love is actually a huge deal. Knowing that fighting for love in any color is not much of a fight anymore because so many people support it and would fight for it if it was challenged again is a humbling realization. When I see the love of my life, I have the luxury of envisioning a man with a blank face. I see myself happy with a man — he has no color (yet) — he's a blank slate. I'm open to whatever comes my way when the time is right, and if he's white, I'll love him and work through obstacles the same way I would with a black man. Love just shouldn't have to be hard and overthought and drawn between black and white lines. And thanks to the Lovings and their battle for equality, it's not anymore.